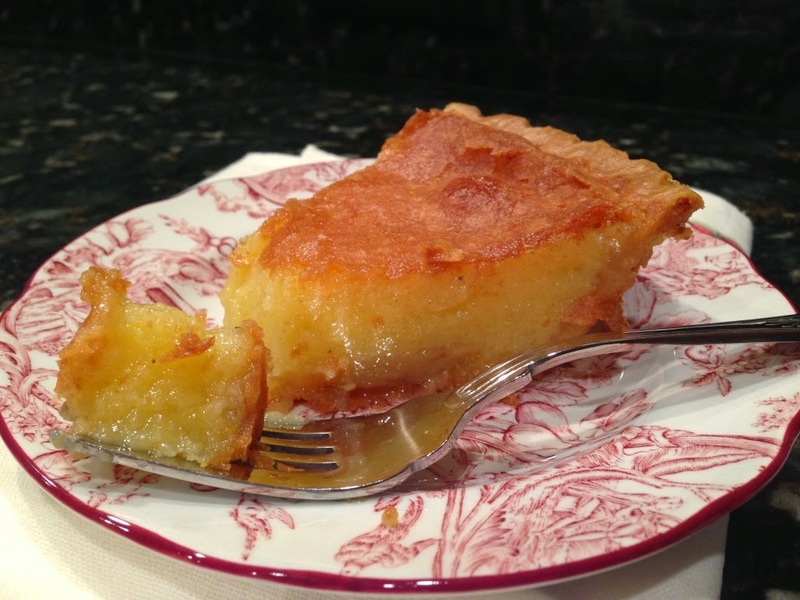 Try This Easy Sweet Pie ( Chess Pie ). It will become the hit for the Holidays. I love this pie with a very good sweet tooth. It's tasty and will melt in your mouth. When I was a child going to school,I think I was in the..... 5th grade. the lunch room would serve this chess pie...and ya'll... I could not get enough. I was friends with a lunch room lady, she gave me the recipe for this chess pie. The recipe had instructions for how made many pies you could make like 1 pie, 6 pies, or 12 and so on. I went home and made 1 pie and wow...! it turn out wonderful. My cousin Marie could not believe I baked that chess pie like the lunch room at school. Now this is a very old southern recipe. It's a very sweet, rich pie which I cannot described as anything but marvelous!! Preheat the oven to 425 degrees In a large bowl, mix the butter, sugar and vanilla together. Mix in the eggs, then stir in the cornmeal, evaporated milk, and vinegar until smooth. Bake for 10 minutes in the preheated oven, then reduce heat to 300 degrees for 40 minutes. Let cool.